In recent years, software as a service has been the business model of choice for IT solutions across all industries. 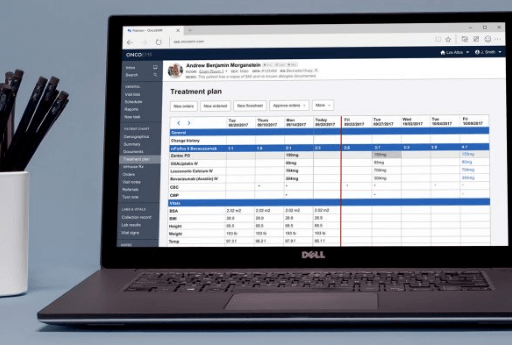 SaaS versions of several healthcare app types like EMR (electronic medical records) or EHR (electronic health records) software have become increasingly popular. The following are top 20 NY-based companies who have successfully launched SaaS solutions for healthcare. Flatiron Health was established in 2012 to change the way cancer care providers collect their medical files. The company supplies cancer-treatment centers with tools used by doctors for tracking patients’ progress and finding out what heals and what doesn’t. Flatiron’s software allows medical cases to be shared with researches to provide supplementary data. One of the key points was when a co-founder’s 7-year-old cousin was detected with Leukemia. However, the boy was misdiagnosed twice and got four bone-marrow transplants. Because of the incompetence and mistreatment of medical issues Turner discovered a big gap in how patients data was being analyzed to treat cancer patients. “He's a wonder kid. He made it! He's done great. But his dad asked me [...] "A few hundred kids get this every year. What drugs do they get, and do they work? I can't find any information," Nat Turner, Co-Founder at Flatiron Health said. Having investigated the oncology industry, Turner and his business partner Zach Weinberg noticed that most oncologists were deprived of the basic data analysis tools that other specialists used daily. Their platform enables institutions to track their compliance with national cancer care guidelines, strengthen documentation, and select eligible patients to clinical trials online. The company has raised $313M in total funding. In February 2018, Flatiron Health was acquired by a pharma giant Roche for $1.9 billion. “As a leading technology company in oncology, Flatiron Health is best positioned to provide the technology and data analytics infrastructure needed not only for Roche, but for oncology research and development efforts across the entire industry. A key principle of this is to preserve Flatiron’s autonomy and their ability to continue providing their services to all existing and future partners,” Roche Pharmaceuticals CEO Daniel O’Day said. Zocdoc has operated since 2007, providing an online medical care scheduling service. The company’s solution helps patients find nearby doctors in their region, browse their reviews and book appointments. The network offers 1800+ types of medical procedures in 50+ specialties. 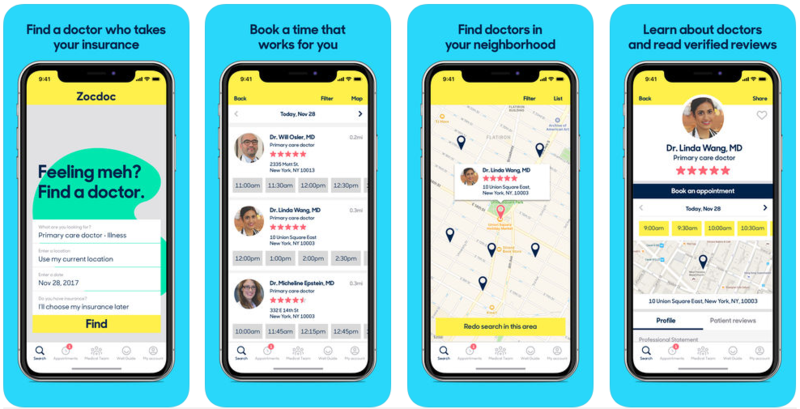 Forbes states that more than 5 million people use Zocdoc services each month across 2.000 cities, representing 40 percent of the U.S. population. Users can run Android, iOS and web app, as well as access Spanish-language version. In 2012 the company launched Zocdoc Check-in allowing patients to fill out paperwork online. The company has been involved in the B2B market since 2014, having developed a premium product that businesses can implement as part of a corporate wellness program. Booking is 100% free for patients. However, the healthcare providers who partner with Zocdoc pay a subscription fee for the services. Zocdoc has raised $223M in venture capital from investors. ClassPass was founded in 2013 after Payal Kadakia, Founder and Executive Chairman, strived to find ballroom dancing lessons after work in NYC. Following many attempts of searching, she got an idea to create a kind of search engine and reservation system for fitness classes. With over 9.000 partners in 50 cities, ClassPass allows accessing the world’s largest network of fitness studios and gyms. The platform has a community of 250.000+ members enabling to choose the most appropriate type of physical activity, including yoga, dance or strength training. The membership pricing depends on the location and number of classes users want to take. Besides, ClassPass provides at-home workout experience. The company has a library of 101 lessons and launched live-streaming video workouts (available for an additional fee). “At ClassPass we’re flexing our technical capabilities to push the future of fitness [...] We’ve leveraged our unparalleled data assets and reviews to create one-of-a-kind, live programming anchored in heart rate training that’s unlike anything else on the market,” said Fritz Lanman, ClassPass CEO. ClassPass has raised $154M in total funding invested by Google Ventures, Thrive Capital, and General Catalyst. The company is recognized as one а the Forbes’ Next-Billion Dollar Startups 2016 and ranked number two on the Deloitte Fast 500 North America list. 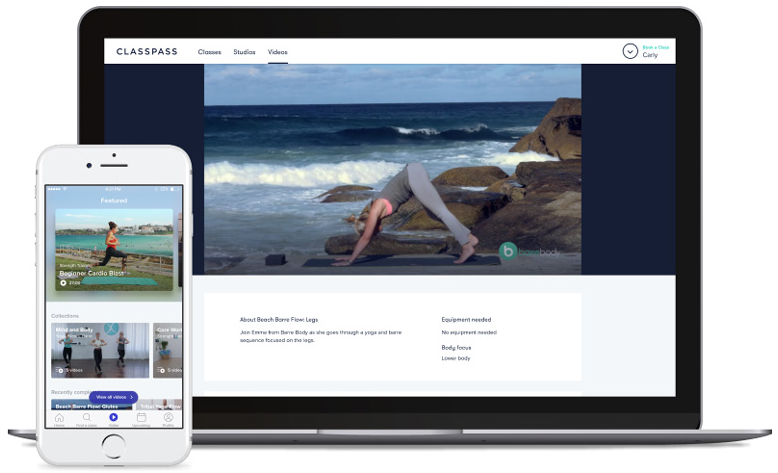 As at 2018, ClassPass was nominated in Best Mobile Sites and Apps: Health and Fitness category for the 22nd Annual Webby Awards. Talkspace is an online messaging therapy provider. The company developed a network of licensed therapists available for consultations via web or mobile environment. All communication between the therapists and their clients abide by strict professional codes of customer confidentiality. The company guarantees the content is encrypted and securely stored. Founded in 2012 with a mission to counter mental illness and make therapy more available to millions in need, their Unlimited Messaging Therapy has been used by more than 500.000 people. Talkspace profits from subscriptions that are automatically charged on a monthly basis. Besides, the company has raised $59M in total funding. Need SaaS development services experienced in secttor? Hire our dedicared team! “Seventy percent of U.S. employees–and 96 percent of senior leaders–say they feel burned out. The numbers are similar the world over. And we actually know how to stop it–by changing the way we work and live,” Arianna Huffington, Founder and CEO at Thrive Global, said. Created in 2016, Thrive Global is focused on health and wellness information. The startup describes itself as a “corporate and consumer well-being and productivity platform”. In less than one year, it has formed partnerships with industry-leading giants by offering companies and their employees sustainable workflow-enhancing solutions. To date, Thrive Global has about 30 clients, such as JPMorgan, SAP, and Hilton. As of 2017, the company has raised $37M in total funding. Thrive’s business model lies in serving corporate clients who use it for health and wellness education. They organize wellness seminars, workshops, and online courses for companies in industries like banking and consulting. Thrive Global website features stories from business leaders and celebrities, advice from medical professionals, and content from industry thought leaders as well as average users who have something valuable to tell. The company also generates revenue through sponsorship and courses. 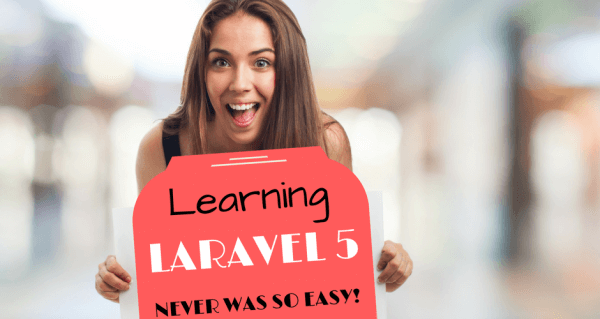 For instance, they launched Thrive Library of eCourses on LinkedIn Learning in 2017. All classes use scientifically proven methods to decrease burnout and improve overall productivity and wellness. 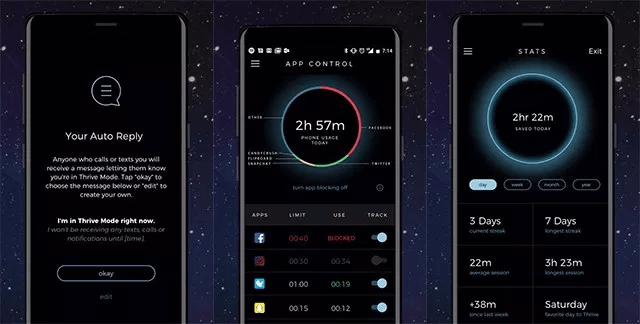 Partnering with Samsung, the company created a Thrive app that allows customers to block all notifications, calls, and texts. It also gives feedback about how much time users spend on other apps. In addition they offer a vacation email tool, called Thrive Away, that automatically deletes new letters while users are away. The app also lets senders know when they will be back in the office. "Technology is an incredible servant but a terrible master," Huffington said. "What is a 'like'? A 'like' is the most superficial indication that someone cares for you. It takes a second to like a picture. People become obsessed with how many likes their picture gets and they come back for that. These are all tools that play on our own needs for validation and hook us. And the only way to counter that is to treat them as tools and not masters." Call9 is an alternative to calling 911 implemented in Skilled Nursing Facilities. It specializes in reducing unnecessary visits to emergency rooms by people who address 911 most frequently. 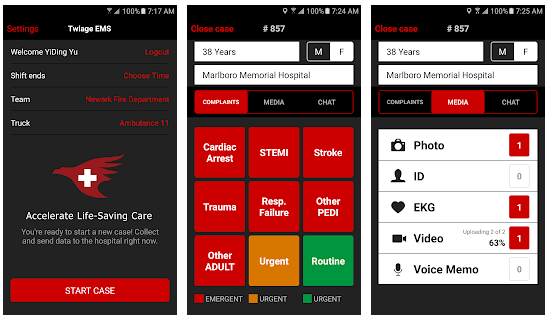 Thus, in an emergency context, SNF nurses or patient’s aids use the Call9 app to connect with an on-call emergency room doctor via video chat. If the nursing home employees can help the patient themselves, the doctor will give detailed instructions regarding what to do and prescribe the needed medication. However, they will send an ambulance if it’s truly a critical condition. Dr. Timothy Peck, founder of Call9, took an unusual step to push his startup forward. He moved into a nursing home in Long Island and lived in the conference room for three months in 2015. In return for housing, Peck dealt with the sickest patients and communicated with the nursing home staff to better understand their needs. He tried to find opportunities for residents to get necessary care without visiting a high-cost emergency room. Peck adapted a medical cart system to handle telemedicine consultations and developed an iOS app to reach Call9 health care. The company also offers special equipment, like portable electrocardiographs. The software decreases ambulance calling by over 50% for patients in SNF by bringing the emergency department to the bedside. Call9 makes money on charging a subscription fee. The company has raised $34 million in venture capital financing from investors like Y Combinator and Western Technology Investment. 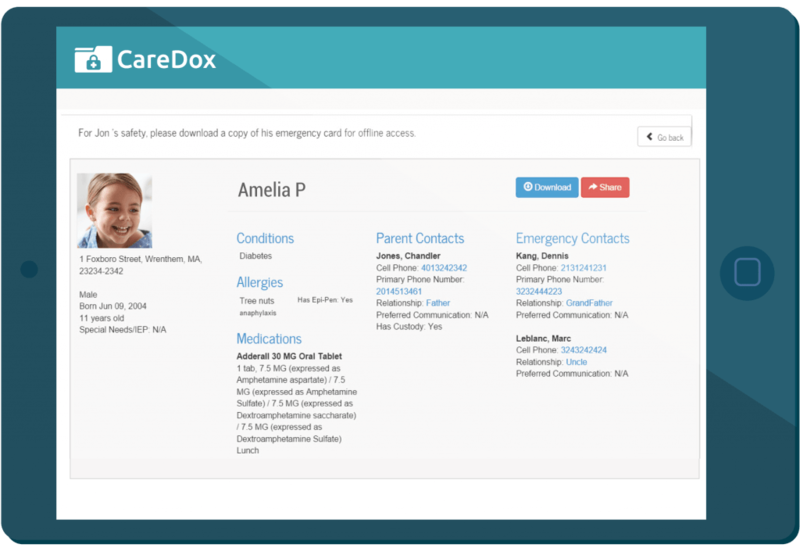 CareDox is a pediatric healthcare technology provider. Founded in 2010, the company is aimed at transforming the health delivery system in the US K-12 institutions. To date, the technology has covered students in more than 4.000 schools. "K through 12 schools manage healthcare for more than 50 million kids nationwide, making them the largest healthcare delivery system in this country. Yet, they are highly fragmented and disconnected from traditional care settings. We have a huge opportunity and responsibility to improve pediatric care by digitally connecting the real care team — school nurses, parents, pediatricians — around the child, wherever they are," Hesky Kutscher, CEO of CareDox said. The Healthy Schools Program enables in-school vaccinations, annual adolescent check-ups, and chronic disease management. The Digital Health Platform also provides HIPAA and FERPA-compliant digital health charting. The platform lets school nurses control charts and chronic diseases, connect to state immunization registry, approve student health enrollment forms, and let parents know about important health visits. The company has raised $32.6M in total funding. Pager company provides patient navigation and telehealth services. They developed a machine learning chat app to help users decide if they should see a real doctor. The platform gathers clinical and insurance claims data to provide a personalized solution. Consequently, patients are connected with proper healthcare options, can have a video chat with a doctor or call him home. 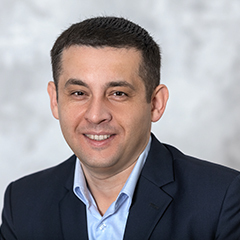 “By focusing on the needs of a more sustainable healthcare model in America, the Pager technology allows for enhanced methods of connecting patients to doctors remotely, which in turn allows for cost efficiencies and higher patient satisfaction rates”, Chief Medical Officer at Pager, Aran Ron, said. Pager is available in select areas on New York, Florida, and Texas. For patients, pricing depends on the type of visit, coverage, and fees. The app sends notifications if additional services and costs are necessary. Founded in 2014, Pager has received $29.6 million in funding. 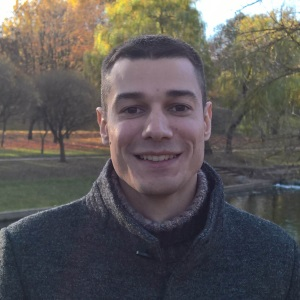 AiCure was founded in 2010 to revolutionize patient monitoring. The company developed a mobile visual recognition platform combined with machine learning and predictive analytics. AiCure app is compatible with any mobile device with a camera. The tool identifies the patient’s face and the medication they take and confirms ingestion. The company guarantees it doesn’t record video or take photos. The technology just uses the camera coupled with imagine recognition to confirm users has taken their meds. Then the data is shared with the care provider or pharmaceutical company organizing a clinical trial. In addition, AiCure offers motivation tools to promote adherence. AiСure has been around since 2010 and raised $27.3M in total funding from leading institutional investors and the National Institutes of Health. Noom was started in 2010 offering a weight loss and fitness app. In 2013, when the company has reached more than 47M customers worldwide, Noom developed the first mobile diabetes prevention software recognized by CDC. The solution combines artificial intelligence with dedicated coaches to promote healthy behavior. The business model is funded by the different purchase options, the price of which depends on the duration. Noom venture-capital investment amounted to $26M as of 2018. Happify was created in 2012 to help users think positively and feel happy. The company offers 60+ games and activities to play for a few minutes each day forcing to make a habit of thinking positively. 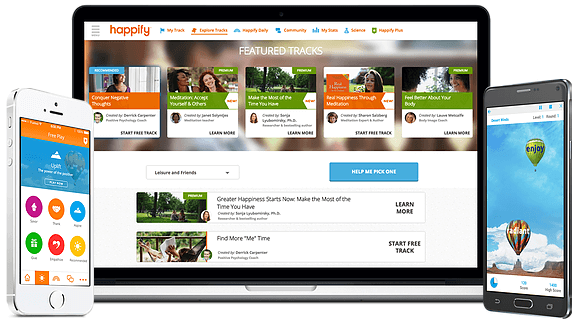 Happify partners with employers to help them motivate workers and meet their emotional needs. The program starts by asking questions relating personal information, then recommends some tracks to perform. Each track contains brief quizzes and games that guide users to seeing more positive aspects of their daily life. Every couple of weeks, Happify quizzes users to measure their happiness and shows their progress on the different happiness skills. In 2014, the New York Times called Happify “perhaps the most sophisticated positive vibes app available now”. It’s free to download and use, but requires paid subscription to access its full range of activities. The company also attracts investment having raised $25.5M in total funding. Nomad represents itself as a marketplace for clinical jobs. The company offers a free network for doctors and nurses to find freelance and clinical permanent jobs without agency recruiters. By removing third-party recruiters, Nomad offers flexible solution for medical professionals. The platform enables specialists and companies to communicate directly online and digitizes processes for employment, insurance, and payments. “We built this company to return medicine to its roots. Nomad eliminates the chaotic and inelegant healthcare staffing system of yesterday and replaces it with a simple, modern platform that just works,” Nomad Co-Founder & CEO Alexi Nazem said. Founded in 2015 by a team of doctors and leading technologists, Nomad has raised $16M in total funding. The company is already partnering with more than 10 of the US-based top providers of telemedicine. One Drop is a diabetes management platform enabling patients to keep a running log of their personal insulin levels. Today, the company offers monthly subscription services to provide unlimited blood glucose testing supplies and 24/7 live in-app support from diabetes experts. Their solution includes the award-winning One Drop Mobile App for Android and iOS devices, as well as One Drop Experts in-app coaching service. The company also offers One Drop Chrome blood glucose monitor, and supplies subscription services One Drop Premium/Plus. The mobile app is integrated with various digital health tracking services, including Apple Health and Google Fit. “I started One Drop because when I found out I had diabetes, I was shocked at how behind the times diabetes care was. [...] I wanted to do something about it and work with an amazing team to bring the quantified self-movement, internet of things, big data, and mobile computing to people with diabetes in a simple, fully integrated solution,” Jeff Dachis, CEO & Founder of One Drop, said. The American Diabetes Association recognizes One Drop as meeting the National Standards for Diabetes Self-Management Education and Support (DSMES). To date, the company has raised $14.1M in total funding. 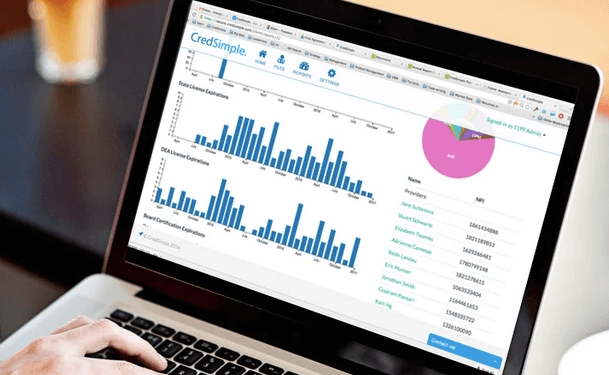 CredSimple is a NCQA-certified Credential Verification Organization (CVO). The company enables healthcare organizations to reduce credentialing turnaround time and maintain client data up-to-date. Credentialing is a process that reviews doctor’s qualification and career history. It must be completed upon the hire of a new specialist and regularly afterwards following the standards set forth by regulatory and accreditation organizations. The process generally takes three months to complete during which the doctor can’t see patients or perform surgery. By bringing the entire process online, CredSimple has been able to reduce the verification process to a couple of weeks. The company is backed healthcare experts and B2B SaaS focused venture funds having invested $8.9M for 2018. Established in 2012, Doctor.com is a cloud-based platform purpose-built for medical practitioners. The software enables healthcare staff to manage their master profiles, book appointments online and build the reputation through reviews and sentiments expressed by their patients. 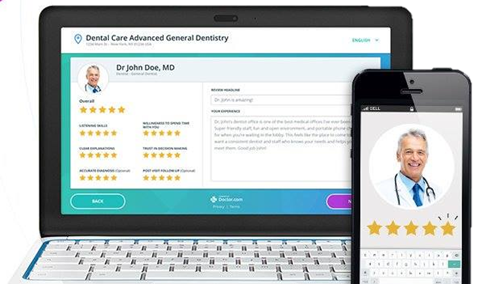 To date, the platform has been used by 200+ US hospitals and 20.000+ private practices to improve their digital presence, attract more patients and enhance their trust. Doctor.com offer free and paid subscriptions to end users as well as health professionals. The cost to implement the platform can range from $3.000 to $10.000 annually for private practices, and from $20.000 to $2 million per a year for hospitals. Doctor.com has raised $8M in funding. ProofPilot manages a research platform enabling users to design and share studies like clinical trials. 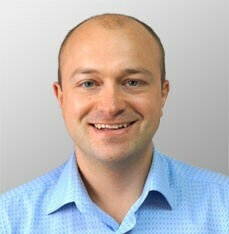 In 2013, ProofPilot developed from the consulting firm Cyclogram started by Matthew Amsden in 2005. "I got into the research industry when I began working on HIV prevention studies doing recruiting, marketing and participant engagement. I became increasingly frustrated that insightful health and social innovations were getting lost because it was too expensive to test whether it really worked," Amsden said. 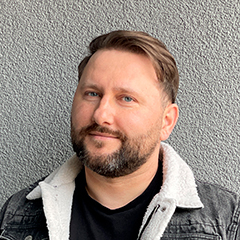 "I knew there had to be a more efficient way to do research studies, so my colleagues and I created ProofPilot to bring forth a renaissance in evidence-based knowledge that can make a measurable impact on personal and societal health." Early ProofPilot’s versions supported studies in the US, Brazil and Peru. 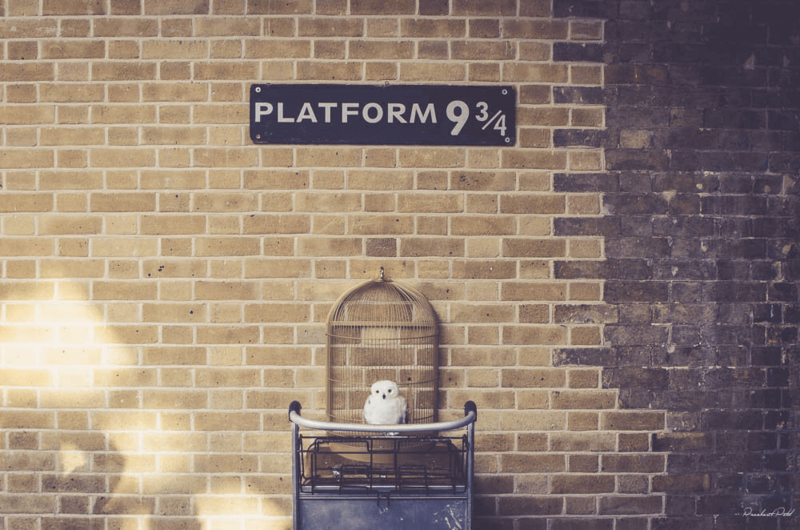 The platform has been used by organizations and institutions like The Huffington Post, the Centers for Disease Control and Prevention (CDC), NYC Health, and AIDS Clinical Trials Group (ACTG). The platform is split into three parts. The first enables users to design research studies. This process is based in a microinteraction, allows using study templates and fill in the blanks to create a study. The second is participant experience involving the study launching and automatic reviewing by specialists. Finally, the study is available for customers via mobile devices and desktop computers. By the end of 2016, ProofPilot raised $1.9M in venture funding by CueBall Capital, Brooklyn Bridge Ventures and BR Ventures. CoachCare (previously Selvera) offers professional weight management program. The software helps users manage their daily nutrition and physical activity and provides one-on-one expert counseling. 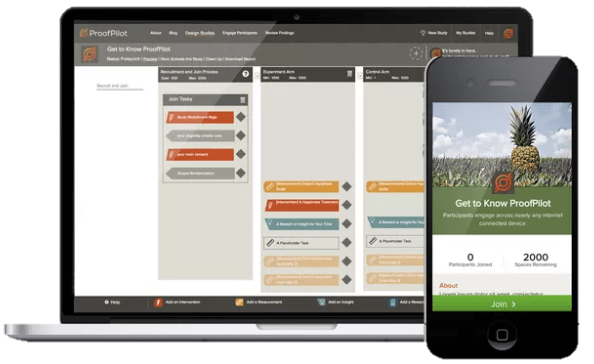 CoachCare offers a patient mobile app, clinical dashboard, and connected proprietary trackers to monitor user’s progress. Their technology can play a key role in addressing a predisposed issue like obesity before it becomes critical. “The desire to focus my career on health and wellness started early; I saw family members battle obesity and chronic diseases and conditions, including diabetes, cancer, high cholesterol, and hypertension — many of which could have been prevented with a healthy diet and more exercise,” Andrew Zengilowski, CEO and Co-Founder of CoachCare said. The idea for CoachCare was born after reviewing the commercial weight management market. According to the results, more than 150 million Americans fight obesity. Some of them couldn’t find a proper weight management tool that demonstrated long-term success. So Zengilowski decided to partner with healthcare professionals and certified nutritionists to develop a user-friendly solution. The early CoachCare results indicate that, on average, users lost one and a half pounds per week. To date, CoachCare software is used by over 3.000 clinics across the U.S. and Canada. The company profits from paid subscriptions, while also receiving funding from venture companies ($1M as for 2018). HealthWiz offers an analytics and data platform for the healthcare industry. Their API provides data on 1M+ doctors, including contact information and quality ratings, as well as pricing for digital health solutions and insurance. 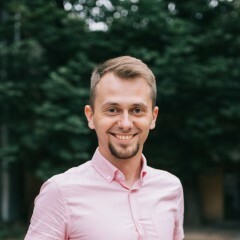 After witnessed how hard it can be to find and receive high-quality and affordable care, Maslak decided to develop a solution to solve the issue. The company chose a business model based on paid subscriptions. 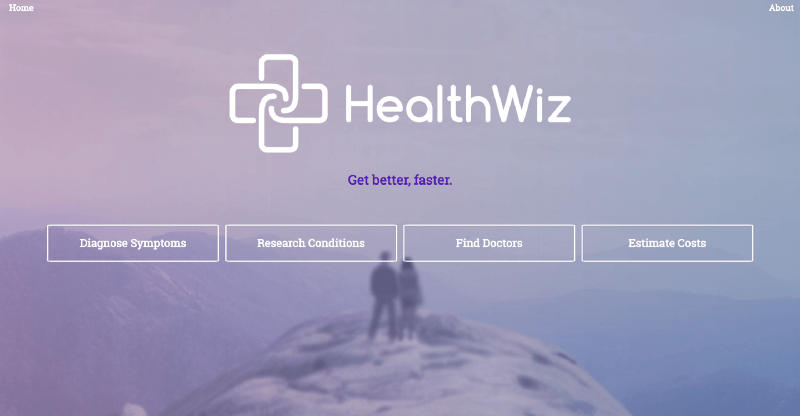 HealthWiz has raised $120K in total funding since its establishment in 2016. Twiage provides an award-winning cloud-based platform for hospitals and emergency departments (EDs). The company’s communication and triage platform allows accelerating care coordination and streamlining handoffs while reducing EMS turnaround times and improving patient satisfaction. Twiage helps clients manage resources like catch labs, operating rooms, and hospital beds. Twiage app for Google Glass enables paramedics to immediately alert doctors about sick patients, share critical data, and provide GPS-tracking allowing hospitals to accelerate patient care in crucial moment. Founded in 2014, the company has raised 60K in total funding. Established in 2015 out of the Harvard innovation lab, EuMotus works on optimizing human body motion. 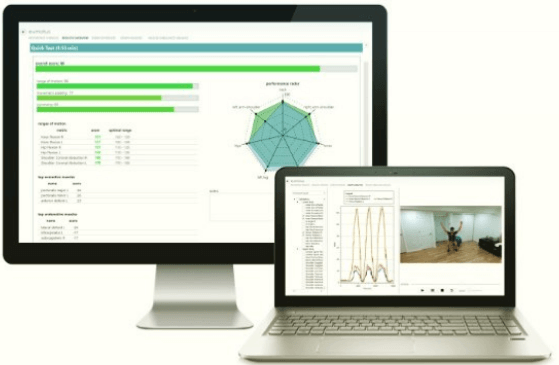 They developed a biometrics analysis platform and tools to better understand functional movement and prevent injuries. BodyWatch is offered as a subscription service used by Physical Therapy professionals to monitor and map a person’s movements in 3D. The technology includes the use of cameras with infrared sensors instead of electrodes or markers. Do you have a healthcare project to implement? Get a free quote from our experts.